The concept of moving to a retirement village is still relatively recent development in the UK at present, although they have proved to be a popular choice of living arrangements for retired people in the USA and in Australia and New Zealand, in particular. However, over recent years, and with the number of people in the UK who live well into their retirement years increasing significantly – a trend which is set to keep on rising – it has raised the question of how social services will be able to meet the demand placed upon them for services such as ‘care in the community’ in future years and retirement villages are now seen as a very useful alternative which can best serve the needs of our retired population and many private companies are now involved in building accommodation to create retirement villages. People would much rather live in their own homes as opposed to a residential care home and, in planning for retirement, many would prefer the option of buying or renting their own personal accommodation as opposed to paying out for residential care. Furthermore, many retirees are fit, well and active so do not require specialist medical assistance. 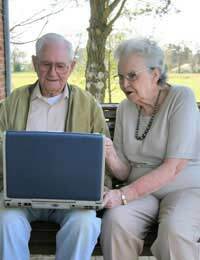 However, in planning for their future, many people also recognise the fact that, as they get older, they may be in need of some medical or other kind of help which is why retirement villages have become so popular as they allow retired people to live completely independent lives, yet many of them will also offer medical and other support services which residents can take advantage of should they need to do so. One of the good things about living in a retirement village is that you’ll be sharing your community with others of a similar age. In Australia, for example, residents have to be 55 or over and have retired from full-time employment. Most communities are located within an easy commutable distance from major towns and cities so they can be easily accessed by visiting friends and family and residents themselves can also gain easy access to shops, attractions and other services offered by the major towns and cities. Furthermore, there are usually a wide variety of community activities which are arranged and, although residents would not be put under any pressure to get involved, there will be many things like bingo nights, dances, dinners and other hobbies which members of the retirement village can get involved with, if they so choose. Most retirement villages tend to be ‘gated’ communities which mean that outsiders would need to pass a security check in order to gain access to the village which increases the sense of personal security and safety which is often of paramount importance to people, especially as they get older and can start feeling more vulnerable. Additionally, their own houses or flats/apartments will also be installed with security features and many communities will also be patrolled by security guards. The assistance you will receive can vary from day to day medical aid or help with bathing, wheelchair assistance etc. to things such as getting help with shopping, ironing and cleaning - the beauty being that you only need to take up these services if you ever need them. It’s easy to feel isolated in retirement if you don’t particularly have many friends or hobbies and especially if you’re living on your own say, for example, in the case of being bereaved so a retirement village can be a real lifeline to many people and allows them to still feel a part of a true community from which they can participate in as much or as little as they choose. The emphasis is on trying to help people to reside in their own homes and to live as full an independent and enjoyable life as possible, for as long as possible as well as alleviating increasing pressures on things like the NHS and freeing up hospital beds, reducing patient waiting lists etc. The concept of retirement villages here in the UK is now well under way and, with more communities of this kind opening up all the time, there is bound to be one not far from where you live and it could be a perfect solution to your retirement living plans if you wish to maintain your full independence but be able to call upon the support of professional help should you need it.